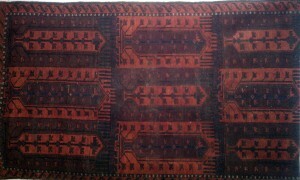 Antique Belouch rug, circa 1900. 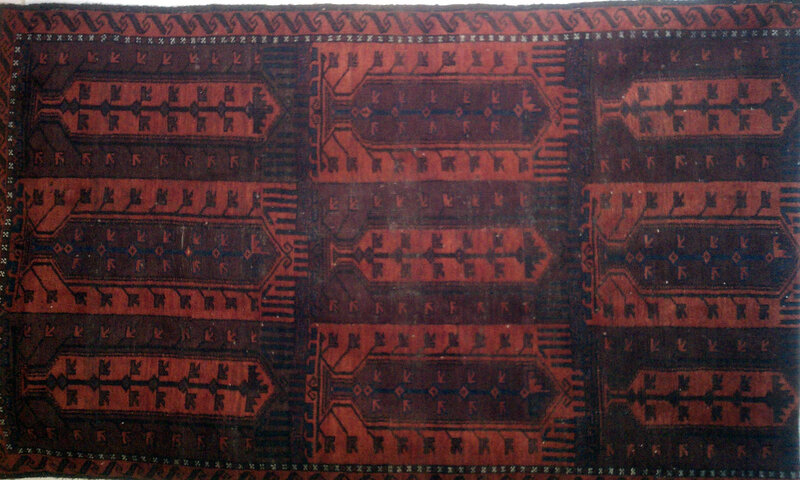 Produced in Northeastern Iran by Belouchi tribal people. Constructed of hand-spun wool, with natural dyes. Approximately 4’x7′ Exceptional turn-of-the-century collector’s rug. Call for pricing.